High machine availability, expanded functionality, and selective energy savings – in all industries, these are decisive factors for increasing productivity and lowering costs. Whether a company wants to modernize individual machines, optimize drive systems, or upgrade entire plants, Controlmatics’ experts support the projects from planning to commissioning. Expert consulting and project management with solution responsibility lead to security and make it possible to specifically identify savings potential in production. This secures investments over the long term and increases economic efficiency in operation. Controlmatics – where the most modern production technology meets the increased demand for product quality. Our experience in the area of electrical and automation systems provides our clients with innovative technological upgrades for their manufacturing equipment. Modernizing your plant extends its working life. Technological updates not only increase availability and productivity, they also lower operating and maintenance expenditures and thus ensure a rapid return on investment. "Modernizing your plant extends its working life"
To maintain your plant at its maximum performance level and to ensure that the latest technology is available for installed automation systems, Controlmatics offers economic upgrading and optimization packages reflecting state-of-the-art-solutions. Small upgrades are the right way to extend the lifespan of your automation system. By making small, cost-effective upgrades or replacements, you can bring your components in line with the latest technology. These types of improvements typically require minimal plant downtime, or none at all – and your plant will remain competitive in the market place. 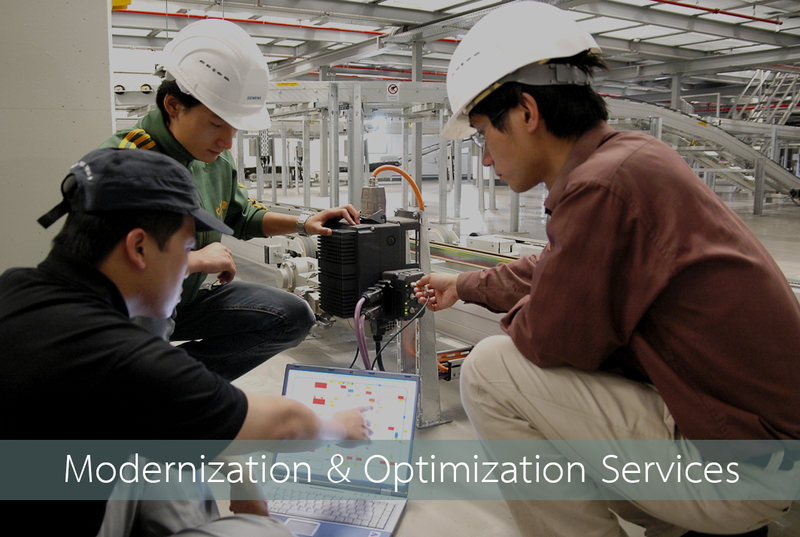 Controlmatics offers you modernization solutions tailored to your needs. Updates and migration of your existing plant automation system not only increase availability and productivity but also lower operating and maintenance expenditures, safeguarding your investment and making your plant ready for future production requirements. Controlmatics has a long tradition of providing the metallurgical industry with both integrated system as well as individual technological and automation packages. Based on our excellent solutions, it is possible to install these packages as standalone versions or embedded into existing environments. Their easy integration into existing software configurations eliminates the need to replace the entire automation system and enables major performance improvements with small investments. In-house experience in software and hardware engineering is the key to achieving the fastest project implementation and start-ups. Having Controlmatics upgrade your automation system gives you access to a number of new functions and technological features that can boost the performance of your process. Our comprehensive capability as a single source provider minimizes downtime and risks during the upgrade process. "Your plant will remain competitive in the market place"